The Dalat Fortress, my abode for the last three months. Rooftop dining rooms made for great sample roasting a cupping areas. Three months have gone by since my arrival in Dalat, Lam Dong Province, Vietnam. This time has shown me quite a bit of promise for Vietnamese coffee, along with the challenges that producers and processors face. It has really opened my eyes to the realities that must exist in most coffee producing areas, forcing producers to weigh the opportunity costs between quality and quantity. A lack of market access really makes the former a difficult task, while the reward and ease of the latter makes high-yielding, high-input monocropping the more attractive option. It takes a special producer, someone who really loves the craft involved in quality production, to choose the quality route. This is what I've found to be true, that the farmers who absolutely love coffee, those who have a passion for producing the best quality possible are the ones who will lead the charge toward value-improvement and sustainability, which, as I've learned, is the only path if Vietnam is to keep its status as a coffee producing country for more than a couple of decades. The issues were outlined at the Coffee Outlook Conference, which I covered in an earlier post. View of the Dalat Fortress from the front gate, my home for the last three months. Now my time in Dalat has come to an end, as I have done what I can to make some solid connections and found some really promising producers to visit over the next few months. Now I'm in Ho Chi Minh City, searching for retailers who are interested in a high-quality, locally-produced coffee to showcase in their shops. I'll be looking for folks who want training to up their coffee game, along with exporters who can be a part of the process. I'm making some headway, and meeting some really passionate folks who are interested in the approach I'm promoting, who I'll write about as projects develop. I'm a little sad to be leaving the mountain paradise I've gotten used to, but am excited to learn another side of the industry I've chosen to study. 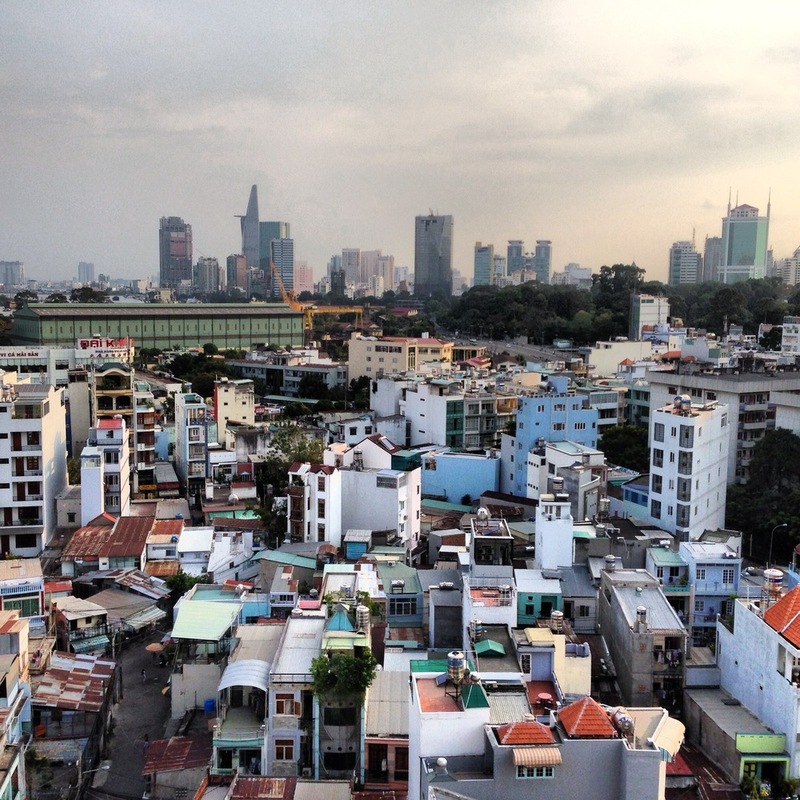 Saigon can be relentlessly hot and chaotic, as it is a densely populated city of nearly 10 million, with tropical heat and a sea of motorbikes zooming in every direction. With the rainy season setting in, heavy downpours lasting only an hour can put a damper on an entire day if my timing is wrong. I am enjoying the opportunity to go swimming often, and my social life has multiplied exponentially. Pros and cons to every situation, I can't wait to see what the next few months have to bring. Saigon, my new home for now. Tons of things to see and learn, I'll explore the cafe culture and see the potential for a locally-based Specialty Coffee scene.